So last year Max was totally nutty for Batman. Not just any Batman, mind you, but only the original Adam West batman would do. He knew exactly what he wanted to be, and I ended up making alterations to his standard Bat-suit to meet his exacting standards. I had to add eyebrows to his bat mask. the utility belt had to be modified, and Bat tools were created from felt and puffy paint. He wanted a Bat-a-rang, of course, but he also needed some Bat Spray Shark Repellent and a special gadget that the Dynamic Duo used to blow up some underwater torpedoes. He literally paused his movie to show my the very gadget he needed, since his four year old explanations were not getting through to Mom. When I saw the Nevermore Complements, I knew they were perfect for these pictures! I'm linking this layout up to the Paper Issues FAN-atics party, because fanatic is the perfect word to describe Max's devotion to the Adam West Batman. He may have moved on to Harry Potter this year in costume, but every night when he lists his favorite things, Man-Batman (as he calls Adam, to distinguish him from all other cartoony batmans) is at the top of his list. I meant to make a Halloween card to share tonight, but last night's craft time was commandeered by my sweet husband, who decided he needed a Halloween costume...for Friday...at nine o'clock at night. 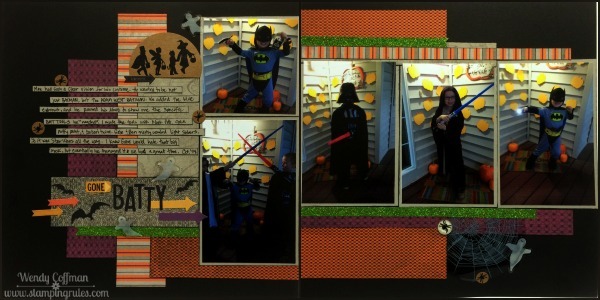 So instead of getting crafty, I had time to finish Max's class snack project and put together a costume. I cut these jack-o-lantern faces on my Cricut, using the new Artistry cartridge. Then I popped them onto these peach cups using Liquid Glass. 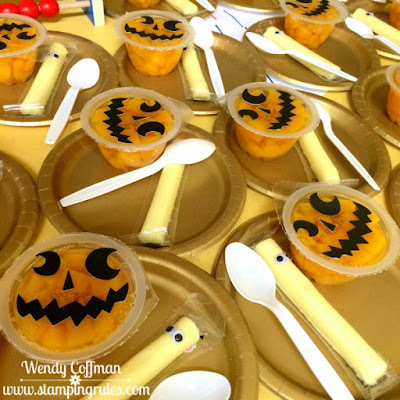 I used Liquid Glass to attach the wiggly eyes to the cheese sticks too. Then on my way to school to deliver the snack and run the bingo station I came to my senses and stopped for paper plates and paper towels to mop up all the peach juice we inevitably ended up spilling while opening up the peach cups. Lesson learned! You may have seen this picture already if you follow on Instagram or Facebook. This is the end result of John's last minute lazy Halloween costume request. He's had this hoodie for a few years. I printed a picture of E.T. 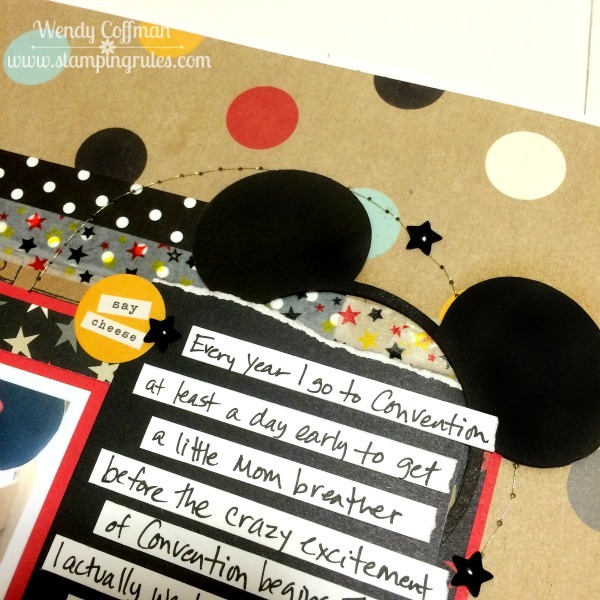 and backed it with cardstock. I taped on some baker's twine, then tied and taped it to a medium sized cat stuffy that was then swaddled in a towel. Then John found this (Amazon) shipping box in the recycle and stuck one of the boys' foam toys through the box for a bike handle. 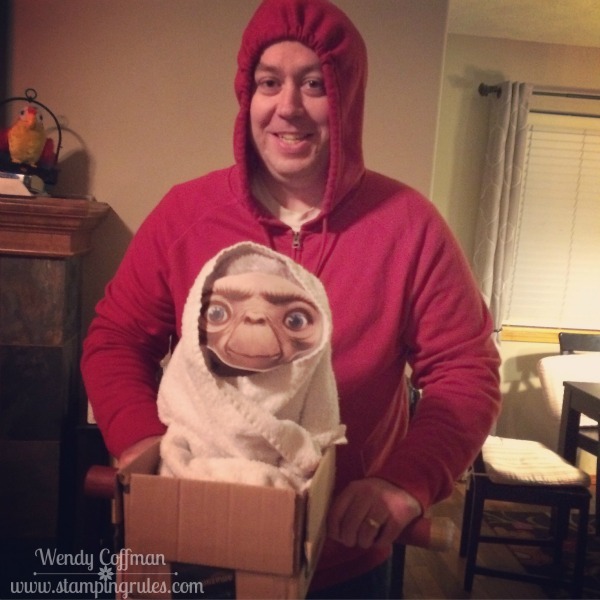 His costume was a hit, and won Most Original Costume at his work costume contest. Now the boys are clamoring to see this classic movie. While neither card, nor layout, nor mini album, that was my crafting last night. Tomorrow I'll have Nevermore pages for you - thanks for stopping by! If you have spent any time hanging around my blog, or Facebook, or Instagram, you may have noticed that we are a hard-core gluten free family. It's not hard at all to say no to the gluten goodies when they make you feel terrible...but it is hard to say no to the kiddos for so many things that their friends just get to do without the worry of will-that-make-me-sick, even if they do accept it with grace and good will. We do our best to find fun but safe gluten free options for the boys on holidays. 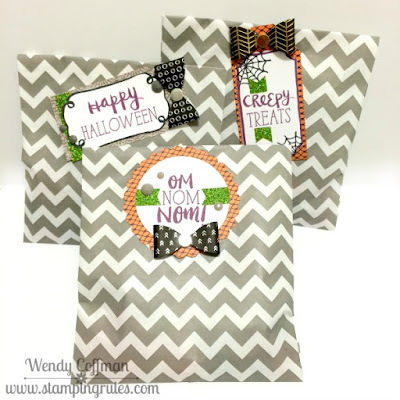 At Convention this summer we got to make these adorable Halloween tags using Tasty Terrors during one of our crafting sessions. I tucked them into my bowl of extra goodies I'm not sure what to do with but too cute to toss out and there they sat all summer long. Today I dug them out and added them to these cute chevron gift bags that I have filled with gluten free candies from gluten free facilities so the boys can have a special treat after not digging into all the not gluten safe goodies surrounding them on Halloween. I added some black bows, because that's Max's favorite embellishment. I know they will be super excited to get a "present" for Halloween! 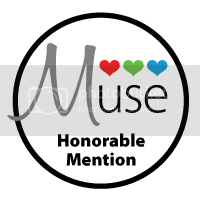 Have you seen the new Muse Card Club Challenge? It's a beautiful floral card by Tracey McNeely to stamplift and inspire! 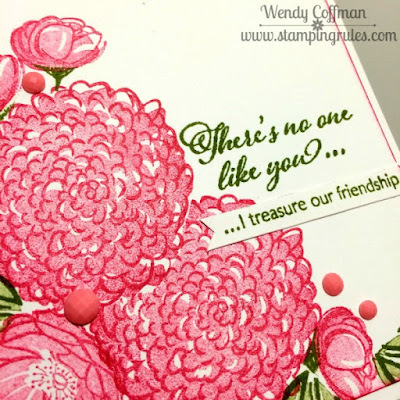 I've been doing a lot of holiday cards this month, so it was fun to break out the Hollyhock ink and florals. 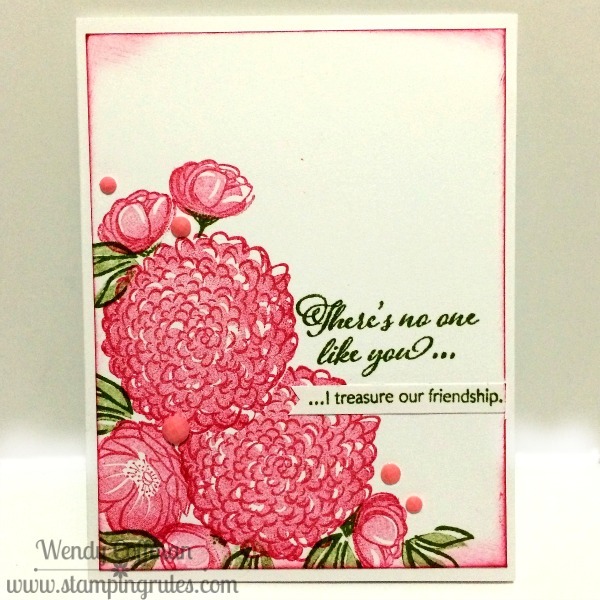 I used a new set called Blossoming Expressions, which I've had but hadn't broken open yet. 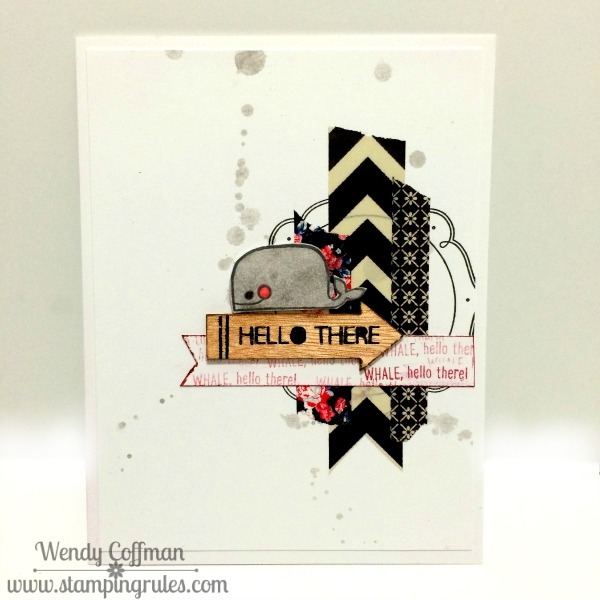 It's a two step stamp set, which is one of my favorite styles. Basically you stamp the bottom/solid layer in a lighter color (in this case that's second generation Hollyhock ink). Then you stamp the detail image over top using a darker ink (full strength Hollyhock). I love the detailed effect with no coloring - like a super fast highway to Adorable-ville! I used a post-it note to mask and layer the blossoms. I added leaves and the sentiment using Olive ink. Then I popped on a few pink enamel gems for some texture. Now I'm back to working in Studio J! Tonight I spent most of my crafty time working in Studio J, so I whipped up a super quick CAS October Stamp of the Month card to share. I started with the CAS(E) this Sketch inspiration sketch. 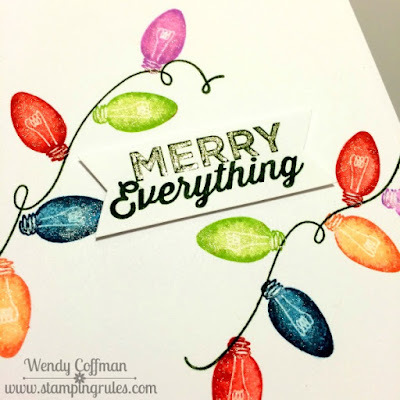 I stamped two strings of holiday lights on the diagonal. 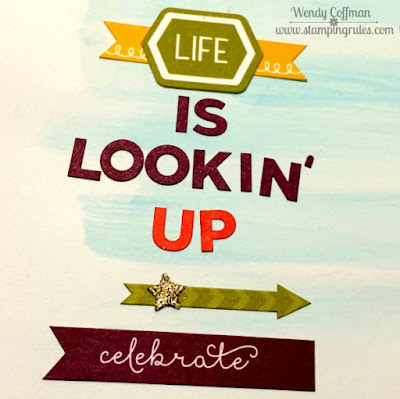 then I stamped the sentiment onto a little banner and popped it up with thin 3-D foam tape. I added a wash of clear Wink of Stella over the lights, and clear shimmer gel pen over the MERRY in the sentiment. 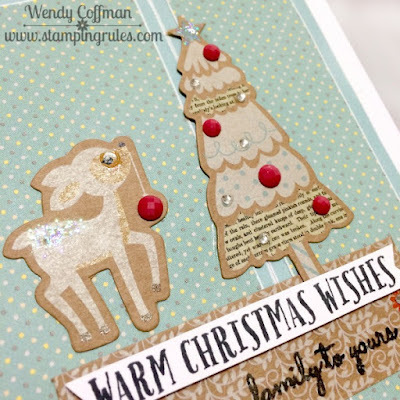 This one would be fabulous if you have a lot of holiday cards to make! 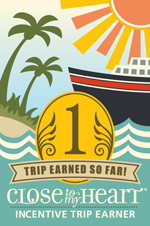 I'm super-duper excited to share my happy news with all y'all today! I'm joining the Scrap Much? Design Team! 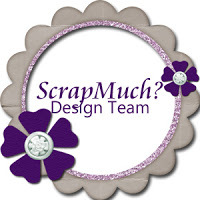 They have gorgeous scrap sketches, and I'm a longtime follower, so I just can't even tell you how thrilled I am to join this amazing team. You can read the announcement all about the new designers (including me!) over on the Scrap Much? Blog today. And since I'm joining the team, I figured I should pair my happy news with a page done using the current Scrap Much? sketch even though I don't start until November. I'm still working on Disney pics right now, and I had this one lone pic, my favorite selfie that I took this July at DisneyLand. 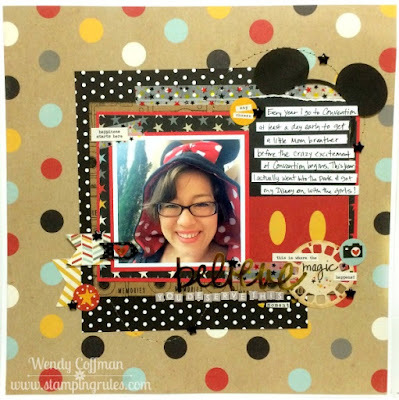 So I grabbed my Simple Stories Say Cheese II stash and got to work! I bought the entire line...more than once. I've got a lot of Disney to scrap, and this line is totally my fav! I am loving the gold touches in the coordinating sticker packs. I also added a bit of subtitling with some grey Websters Pages block letter stickers. How cute is that Mickey pants journaling card? I wanted a black or dark print grounding piece, but none of my Say Cheese prints were quite right, so I used some La Vie En Rose scrap to build on. 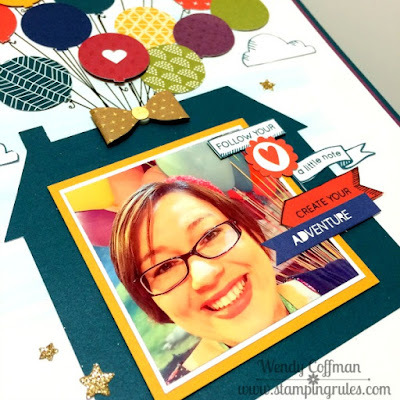 I stamped the kraft cardstock with a camera and MEMORIES sentiment stamp to add in my own print to the mix, too. I filled my little plastic arrow clip with more Say Cheese stickers. 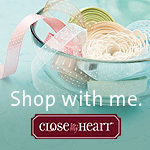 Instead of a doily like the sketch called for, I chose one of my Mickey Head cricut cuts I'm using throughout my pages. Sorry my circle is a bit wonky - I was stitching at Starbucks and I forgot my stitch guide, so I was using the paper cup cozy to guide my piercing. That's a single strand of my favorite gold thread, which I used all up, forcing me to the craft store to get some more today (I found gold AND silver!). That star washi tape came from Queen and Co - it's one of my favorites, too. 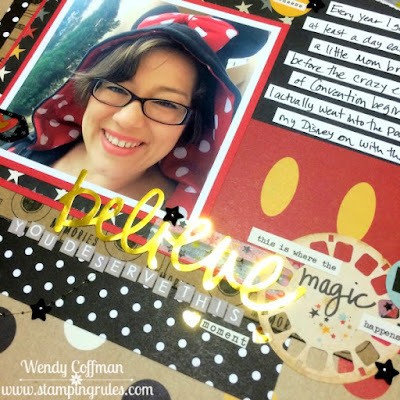 I'm going to link this page up to the Paper Issues FAN-atics party, because this page brings together everything I love most - a gorgeous Scrap Much sketch, Simple Stories papers, CTMH stamps, and DISNEY! I had this one cute deer chipboard piece left from my White Pines complements, and I hadn't found him a good home yet. Then I saw the new Freshly Made Sketches Challenge and it seemed tailor made for this big guy. I attached him to a panel of Simple Stories Cozy Christmas paper with the JOY sentiment already printed on there. I added the deer, and a falling snowflake, both touched with a bit of clear shimmer gel pen. 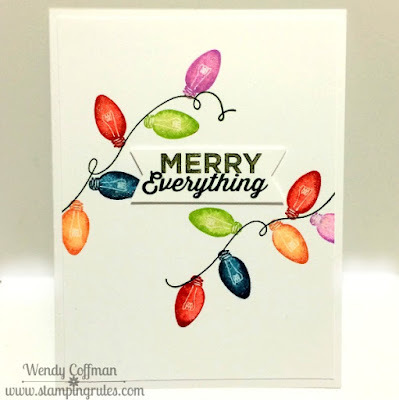 Then I scattered on a few Bitty sparkles and this sweet holiday card was done in a snap! 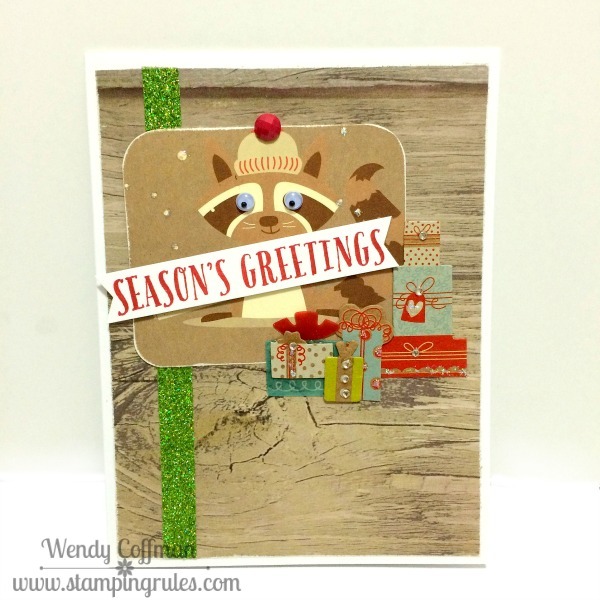 Today I took a quick trip over to Scrapper's Attic and got some fun new goodies, including this Simple Stories 6x6 pad called Cozy Christmas. I started with the cute new sketch from Retrosketches. 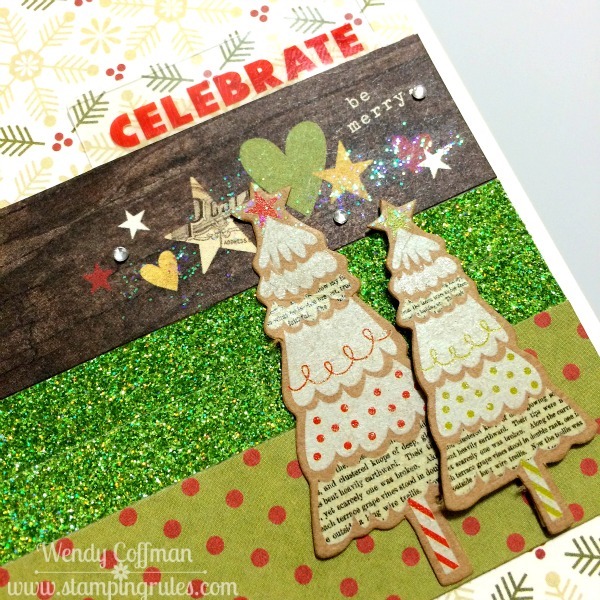 I added a base of snowflake paper, and stripes of dots, green shimmer trim, and a preprinted banner with the be merry sentiment, I slid a clear acrylic CELEBRATE sentiment under the wood grain banner. I added two White Pines chipboard trees with thin 3-D foam tape. Then I patted on some clear glitter gel and added some touched of clear shimmer gel pen. It was so fast and easy! 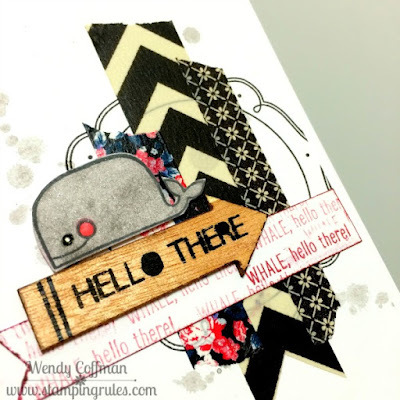 When I saw this week's Mojo Monday sketch, I immediately thought that it would be a great sketch to use with pocket scrapbooking cards. Now, I'm usually an A2 sized card maker, but to make my White Pines PML card fit the card design perfectly I needed to move up to a 5x7 card. 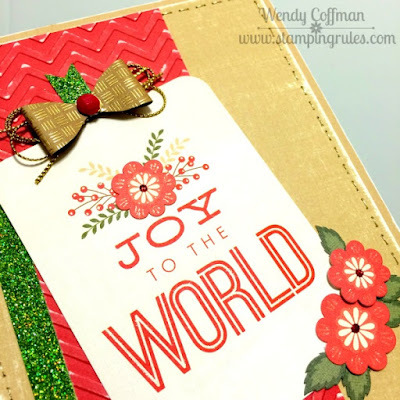 I started with a base of Cashmere cardstock, and added some green shimmer trim and a panel of Cranberry cardstock that I embossed with a chevron embossing folder. Then I hand-stitched around the edge with gold sewing thread. I added some red flower stickers and detailed those with clear shimmer gel pen and red glitter gel. 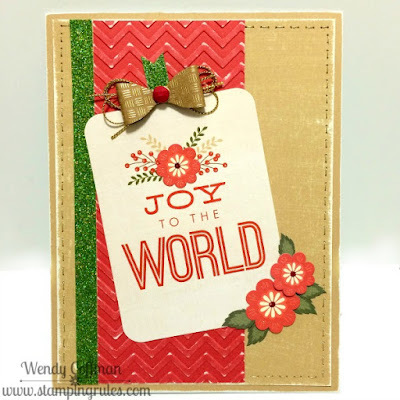 I topped off the JOY card with a hand tied gold string bow and a gold paper fundamentals bow. It was fun to make a bigger card with a bit more room to stretch out! Can you believe that October is almost over? I wanted to squeeze in at least one more October stamp of the month card. 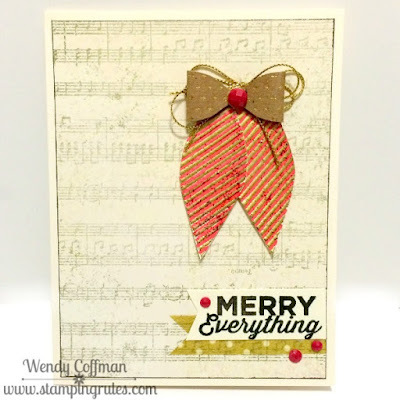 This card was inspired by this week's MUSE: Christmas Visions inspiration card by Betty Wright. I loved her music background, and classic red, green, and gold color combo. I embossed my ornament images with gold powder, then filled in the striped with a red alcohol marker and dabbed on some red glitter gel. 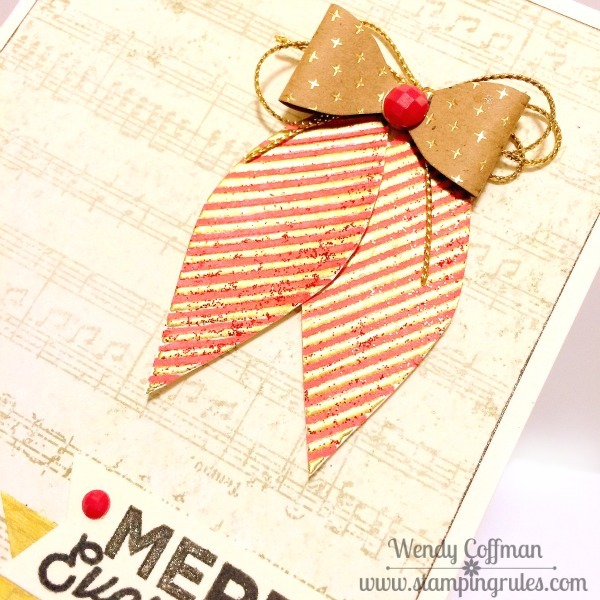 I topped the ornaments with a gold trim hand-tied bow topped with a gold paper Fundamentals bow and a red enamel gem, like a cherry on top! Thanks for the festive inspiration, Betty and Muse! Can you stand one more Operation Smile Animal Greetings card from me this week? When I saw the new CAS(E) this Sketch challenge I immediately ran for a pad of post-its. I cut a heart out of a big post-it by hand and used the reverse as a mask while I stamped the sentiment in Pixie Ink repeatedly to fill in the heart. 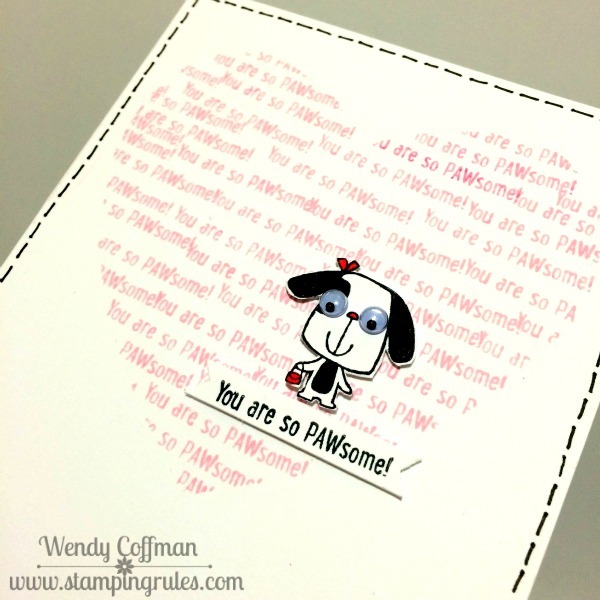 I added a tiny 1/4" banner with the sentiment in black, and the little puppy all popped up on thin foam tape. I colored her with black and red markers to go along with the new Color Throwdown challenge. Then I added some wiggly eyes to finish off this clean and simple card. I love punny stamp sets. So with 15 adorable animal puns, Animal Greetings has stolen my heart. I wanted to play with the new sketch from RetroSketches, so I started with a panel of White Daisy cardstock. I splattered the background with grey watercolor paint. 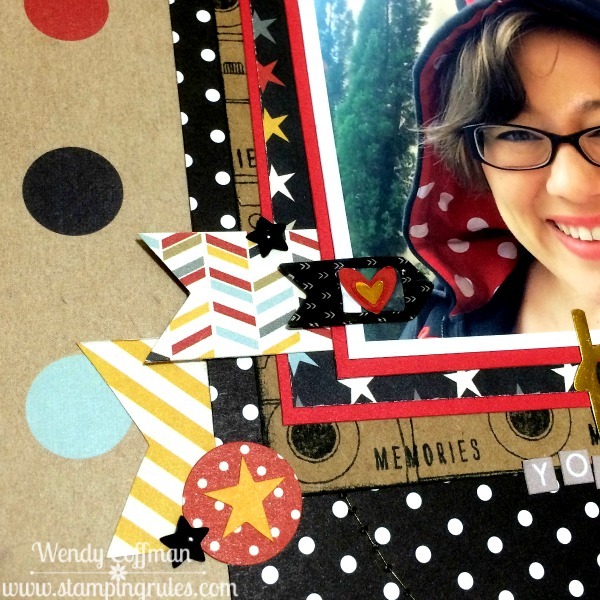 I stamped on a frame from one of the Artistry sets in Memento Tuxedo black. 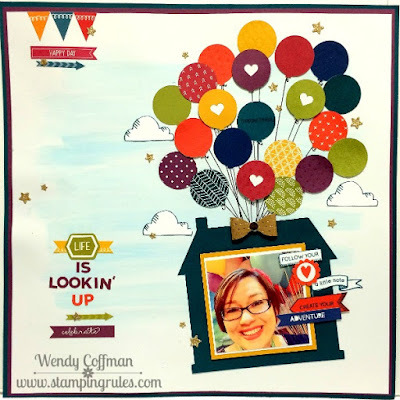 Then I layered on three kinds of washi tape. I added a 1/2 in banner stamped with the punny sentiment using Pomegranate ink. I added a wooden arrow from the Black Fundamentals line. The cute little whale is watercolored and popped up on thin 3-D foam tape. I added a Bitty Sparkle colored with a black alcohol marker for his eye. 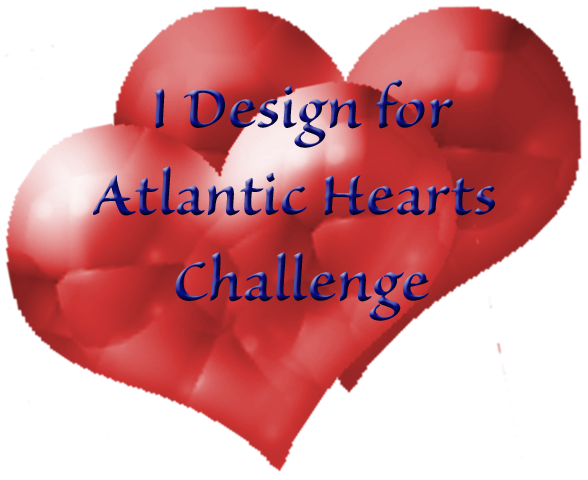 It's Monday, and that means it's time for another Atlantic Hearts Sketch Challenge! I decided to combine a bit of Georgie paper and White Pines complements for this project. I pulled my favorite sentiment from Seasons Greetings. I added some bitty sparkles and red enamel gems to the chipboard tree and deer. I also added a bit of clear glitter gel. 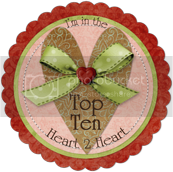 I hope you'll hop over to Atlantic Hearts to play along! 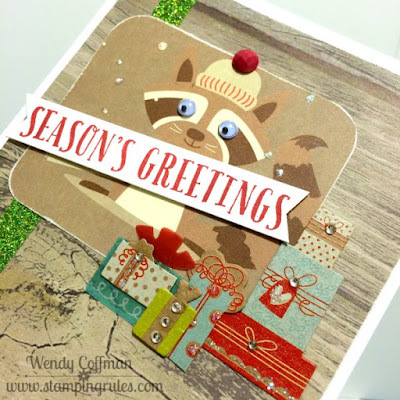 This adorable raccoon is one of the images in the White Pines Picture My Life pocket scrapbooking card set. He WAS holding a sign with a December date on it...but that wasn't going to do! 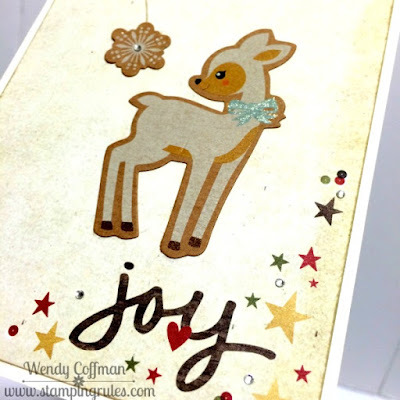 So I stamped a sentiment banner using Seasons Greetings and popped it up with thin foam tape. I layered that over the trimmed down PML card, which is mounted over some retired timberline Woodgrain B&T and a strip of green shimmer trim. I was working from the new Freshly Made Sketches challenge, so I added the presents around the bottom right of the raccoon in place of the extra rectangle. I added bitty sparkles, red enamel gems, and a bit of clear glitter gel to finish off this festive greeting card! I finally finished my UP layout from July's convention, picture and all! CTMH gave us this project to complete, and it's just gorgeous. The balloons are all cut from the new fundamentals paper Enchantment palette. The sentiments running down the side here are a combo of stamps and fundamentals stickers. The gold stars and bow are from the gold assortment. Here you can see the blue watercolor background they had us add. Finishing this page makes me even more excited to be attending the CTMH Consultant Album Retreat in November. I can't wait to see what they've cooked up for us to make! 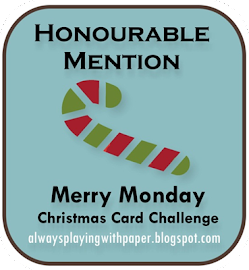 I want to make a bazillion of this week's adorable Muse Card Challenge. 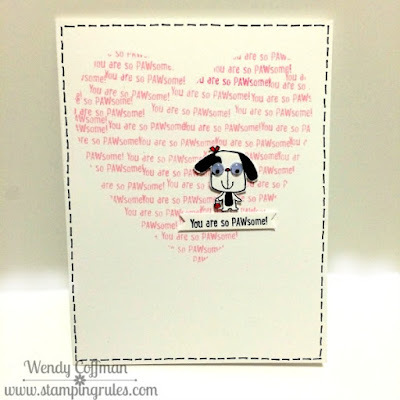 Have you seen their adorable inspiration card? Instead of typewriters I went with the penguins from Seasons Greetings. I stamped the small penguin onto white cardstock and colored his winter accessories with red, pink, and yellow alcohol markers. Then I went back in with a kraft brown marker to fill in around the penguins. 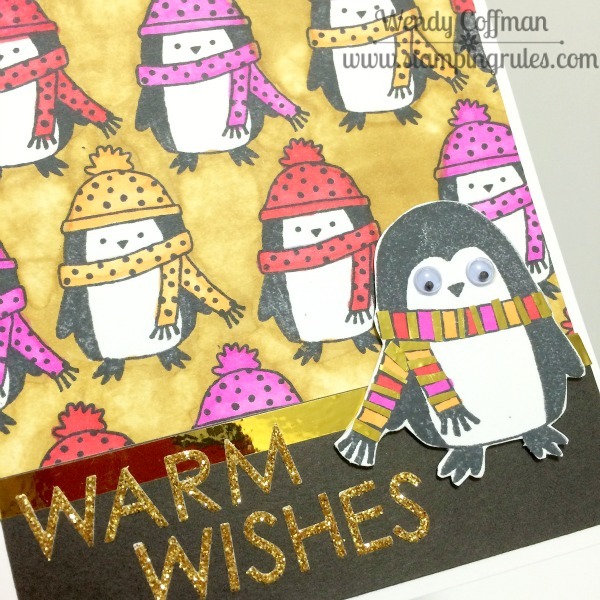 I added a panel of black cardstock topped with a strip of Gold foil tape. I added the sentiment using some gold glitter letters I picked up...um...probably at Michaels. I don't have the packaging anymore so... I stamped the big Penguin and colored his scarf to match. then I spent way too much time adding teensy slivers of gold foil tape to his scarf, which was probably unnecessary but totally fun! I've got another White Pines Picture My Life card project today. 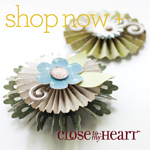 I love all the varied coordinating patterns in this card set. I based this card on the new Retrosketches challenge. I cut the background from a White Pines PML card, and the blue banner from a scrap of White Pines paper. Then I added the pen detail and the sentiment from Seasons Greetings. 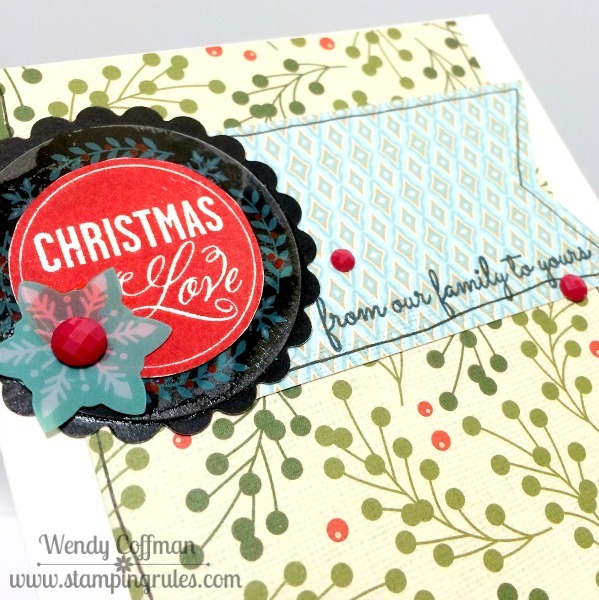 Then I layered a clear acrylic printed White Pines Complement onto a black scalloped circle, and topped it with the Christmas Love circle from the October SOTM. A few red enamel gems finished off this quick holiday card!